Through CBI’s partnership with Sitapur Eye Hospital, men, women and children from rural areas of India are able to have a chance at sight. Recently, in partnership with Sitapur Eye Hospital, Combat Blindness International was able to restore sight to Amrun Nisha. 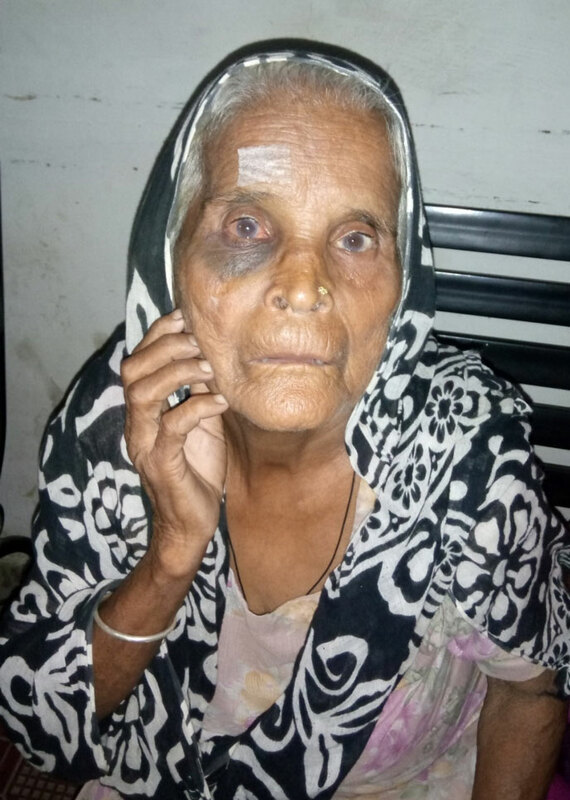 Amrun Nisha is a 66-year-old woman living in Pisawan, Maholi, Sitapur. After losing her husband over 20 years ago, Amrun was let to face her diminishing vision on her own. 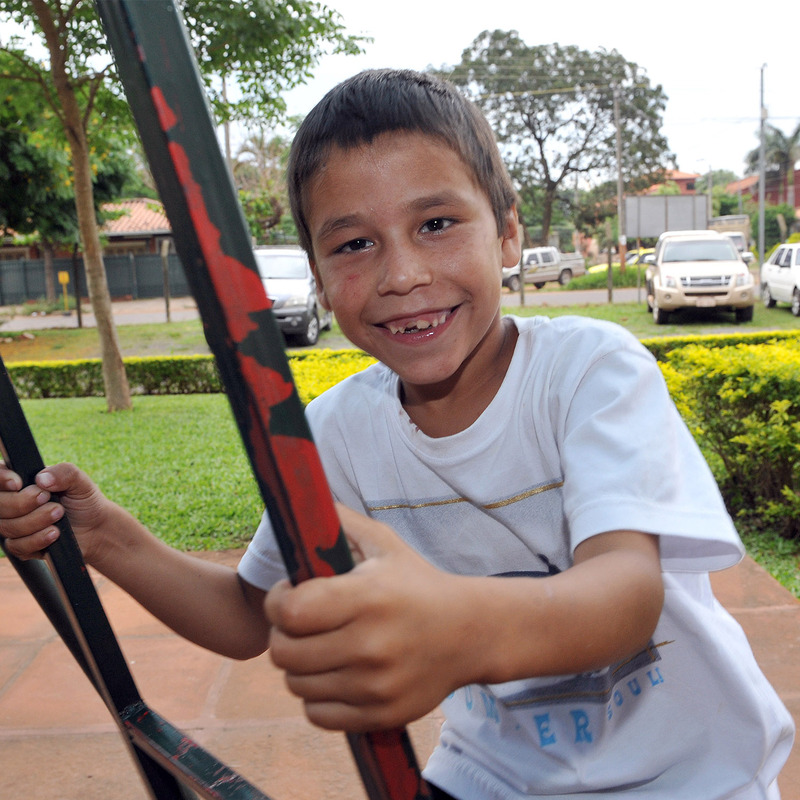 Her loss of vision has left her unable to work or do simple household work. With no strong source of income or a husband to lean on, Amrun was forced to move in with one of her two daughters. Her daughter works in animal husbandry and sells milk to earn a livelihood for her and her mother. One day a sponsor of the Sitapur Eye Hospital visited their village to speak with locals about the benefits and technology at the Sitapur Eye Hospital. Amrun’s daughter suggested that her mother should visit the camp to see what could be done about her loss of vision. Together, Amrun and her daughter traveled to the Eye Hospital where doctors diagnosed cataract in both of her eyes. 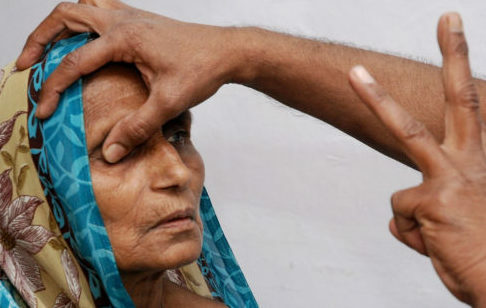 Cataracts are the most common cause of vision loss for men, women and children throughout with rural parts of India. 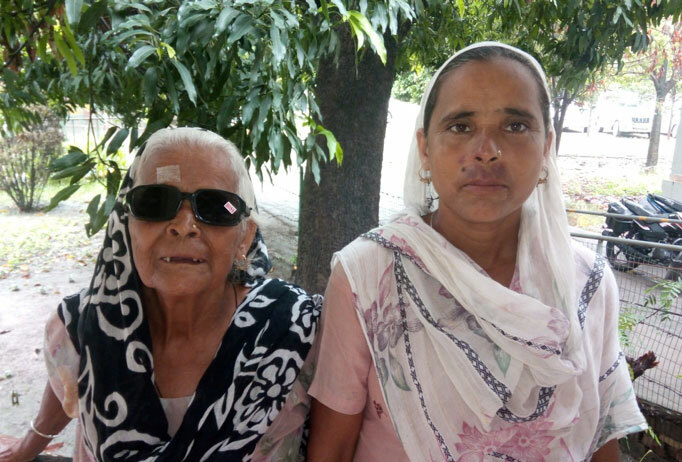 The Sitapur Eye Hospital, specializing in cataracts and cataract surgeries, was able to assist Amrun by operating both eyes for no cost to her or her family. During her time at the Sitapur Eye Hospital Amrun’s right eye was operated on first to help restore her lost vision. After her quick 20 minute surgery, Amrun worked with a counselor at the Eye Hosptial who provided her with medication and advice on how to further take care of her eye health after she left the hospital and returned home. She was given a pair of glasses to wear after her surgery that would allow her to see clearly when returning to her routine household work. Amrun is currently back in her village able to return to her normal and daily life activities thanks to the partnership of the Sitapur Eye Hospital and Combat Blindness International. It is now a new morning for Amrun with the sun forcing out the darkness and giving way to the colorful life – it’s a new beginning. Thanks to your generous support, CBI is able to continue our partnerships with the Sitapur Eye Hospital, helping to restore vision to those across rural India. Please continue to support CBI by donating here.